It was wonderful to visit with Jon Nastor, the mastermind behind the Hack the Entrepreneur podcast and book. He has interviewed such thought leaders as Guy Kawasaki and Seth Godin, and hundreds more, who all are committed to this wonderful exploration of entrepreneurship. We covered a lot of ground in this podcast, from my personal journey as an entrepreneur, to CEO, to the creator of The Entrepreneurs Game. 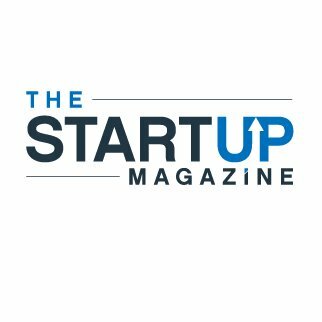 The Startup Magazine covers Ironheart's approach to enable middle-market, privately-held companies to position themselves for greater growth and investment. Startup Beat covers Ironheart's Performance Engineering program to enable companies to negotiate better terms and prices on investment rounds. The Sociable covers Ironheart's proprietary methodology using 128 key metrics across seven domains of the enterprise as proxies for measuring increases in the privately-held company’s strength, power and performance. The creative process is not all roses. But it is worth it. To improve corporate growth strategies, walk backwards. EPISODE 3: James and I develop the metrics that matter for his venture... those metrics along the way that demonstrate his business model and business plan are working. EPISODE 1: Billy and I sit down for some Southern BBQ at Buxton Hall in Asheville, NC, to getthis journey started. I'm still trying to figure out how he's gone from building the 'dog van' in Dumb and Dumber to standing next to Sophia Loren in Cannes... this going to be good. EPISODE 2: The funny thing for entrepreneurs is that life and work often become one, and where we take the business venture will raise questions around identity and purpose. Billy tells us about his journey, plus we get to hear about Billy's creative process... artists and entrepreneurs are always looking for new sources of inspiration. EPISODE 5: The Most Fun I've Ever Had at a Client Demo! Mark and Nadia show a prospect what it is they can do, and knock it out of the park. EPISODE 4: How Much Bigger Could This Become? The opportunities for Mark & Nadia could be even larger than they originally conceptualized... and it is clients that are asking them to go bigger! We breakdown the underlying techniques and methods for resonating with prospects and customers, including the use of avatars, anticipating logical and emotional appeals, and how to deepen the conversation. Mark and Nadia take the big step of turning what they have teased out with one client, to now committing to take it bigger.